I met Joe Kilpatrick in 1983 during my first visit with the Z. Smith Reynolds Foundation in Winston-Salem. He provided a warm, friendly greeting, and gave me strong encouragement as the fledgling North Carolina Coastal Federation was just getting its footing. Thus began a friendship that lasted more than three decades. Joe helped the federation both as a foundation staff member and later as a private citizen—including eventually serving as a federation board member. The many ways Joe helped the federation succeed are too numerous to detail. He helped fashion proposals that obtained essential operating support from the Z. Smith Reynolds Foundation starting in 1983. His guidance eventually resulted in long-term and consistent financial support from the foundation that continues today. He helped the federation staff with strategic planning, coordinated our work with other environmental organizations, and as a board member set up and participated in raising significant donations for our capital campaigns. The federation could always rely on Joe to be there when we needed him—and we frequently asked for his advice and influence. He was always willing to go the extra mile working behind the scenes to help with our work. He was an essential member of our team, and is responsible for many of our accomplishments. Joe spent some nice times with us at the coast. He made a special effort to attend workshops, field trips, board meetings and public outreach events. He formed fond lasting memories from those visits especially when they included his family. Later, those positive memories gave him extra strength to tackle his own challenges. He reached out for support, and that gave us a renewed opportunity to get to know him much better for the person that he was. He was a wonderfully talented, caring and creative person, and completely sincere in his passion to help make North Carolina a better place to live and work. Joe made the coast and the State of North Carolina a much better place as a result of his life’s work. He is profoundly missed but will never be forgotten. 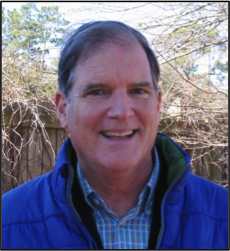 In lieu of flowers, the family has requested friends and family to honor Joe’s dedication to NC and our environment by making a donation to Piedmont Environmental Alliance or the North Carolina Coastal Federation.